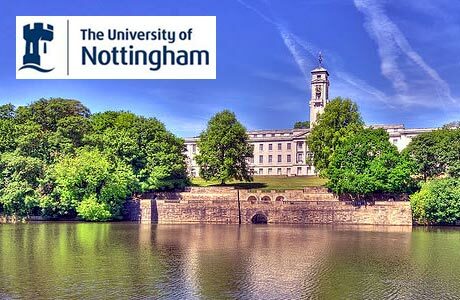 Developing Solutions Masters Scholarship has been announced from The University of Nottingham, UK. *Anguilla, Antigua and Barbuda, Bangladesh, Barbados, Belize, Bermuda, British Virgin Islands, Brunei, Cayman Islands, Dominica, Falkland Islands, Fiji, Gibraltar, Grenada, Guyana, Jamaica, Kiribati, Malaysia, Maldives, Montserrat, Nauru, Nepal, Pakistan, Papua New Guinea, Pitcairn, St Helena, St Kitts and Nevis, St Lucia, St Vincent, Solomon Islands, Sri Lanka, Tonga, Trinidad and Tobago, Tristan da Cunha, Turks and Caicos, Tuvalu, Vanuatu, Western Samoa. **Priority is given to candidates who have not previously studied outside of their home country. Students currently studying in the UK are not eligible to apply.